Vol. 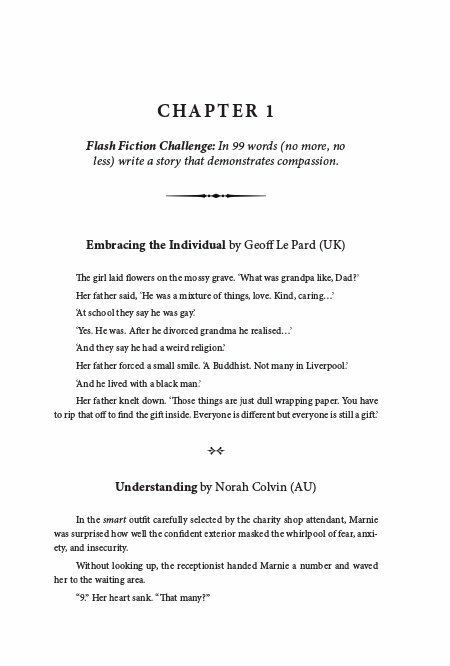 1 explores the literary art of flash fiction, beginning with the earliest compilations at Carrot Ranch and later pieces based on a new flash fiction prompt. 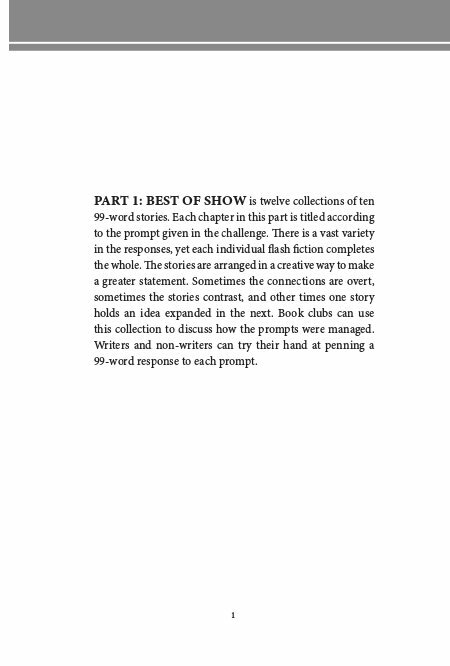 It continues with longer stories extended from the original 99-word format and essays on how flash fiction supports memoir writing. Based on the experiences at Carrot Ranch, the concluding section of Vol. 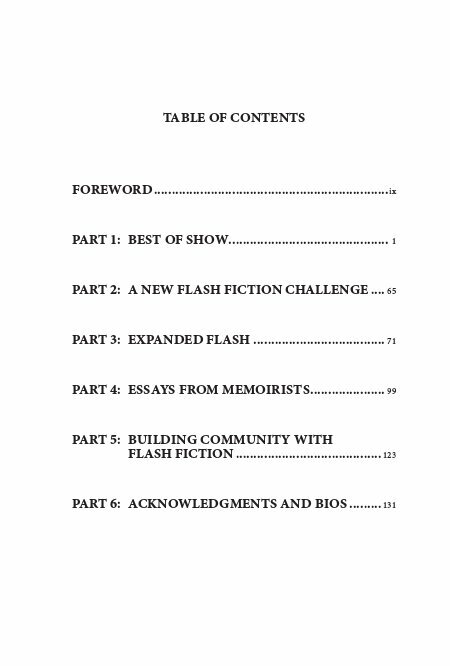 1 offers tips to other groups interested in using the flash fiction format to build a literary community. From riding horses to writing stories, Charli Mills is a born buckaroo wrangling words. 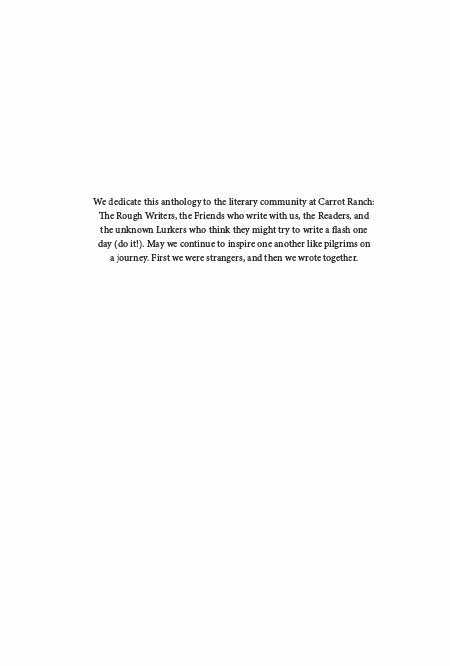 A seasoned freelancer, she writes stories set in the American West, giving voice to the experiences of women and others marginalized in history. 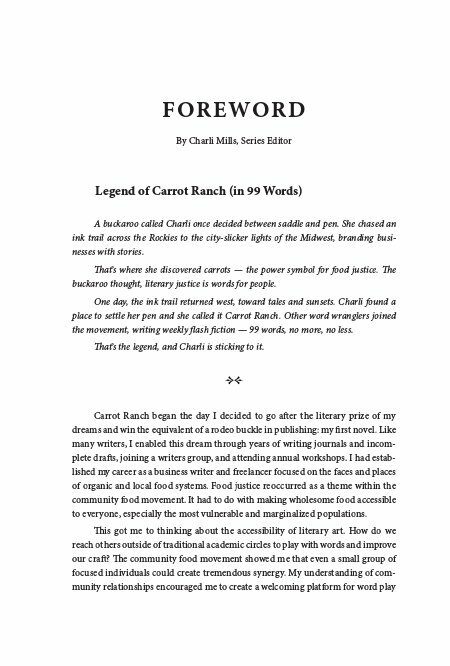 Charli Mills developed the Congress of the Rough Writers and Carrot Ranch Literary Community. Sarah Brentyn wrote her first story when she was nine years old and never looked back. Her work has appeared both in print and online in lit mags, newsletters, websites, newspapers, and anthologies. 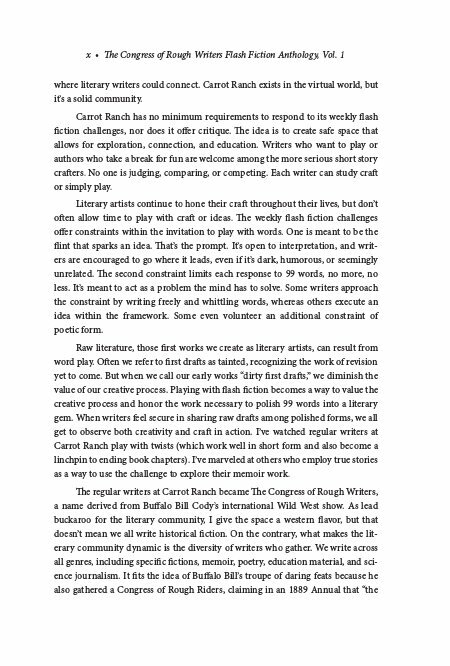 She has a master’s degree in writing and has taught at both the secondary and collegiate levels. 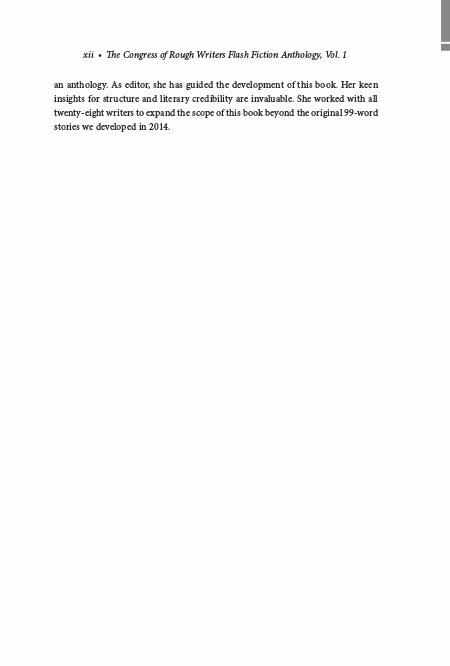 She is the author of Hinting at Shadows and On the Edge of a Raindrop, both collections of short fiction. Anthony Amore, Rhode Island, USA; Georgia Bell, Toronto, Ontario, Canada; Sacha Black, England, UK; Norah Colvin, Brisbane, Qld, AU; Pete Fanning, Virginia, USA; C. Jai Ferry, Midwest, USA; Rebecca Glaessner, Melbourne, Vic, AU; Anne Goodwin, England, UK; Luccia Gray, Spain; Urszula Humienik, Poland; Ruchira Khanna, California, USA; Larry LaForge, Clemson, South Carolina, USA; Geoff Le Pard, Dulwich South London, UK; Jeanne Belisle Lombardo, Phoenix, Arizona, USA; Sherri Matthews, Somerset, UK; Allison Mills, Houghton, Michigan, USA; Paula Moyer, Lauderdale, Minnesota, USA; JulesPaige, Pennsylvania, USA; Amber Prince, North Texas, USA; Lisa Reiter, UK; Ann Edall-Robson, Airdrie, Alberta, Canada; Christina Rose, Oregon, USA; Roger Shipp, Virginia, USA; Kate Spencer, British Columbia, Canada; Sarah Unsicker, St. Louis, Missouri, USA; Irene Waters, Noosaville, Qld, AU; Sarrah J. Woods, Charleston, West Virginia, USA; Susan Zutautas, Orillia, Ontario, Canada.